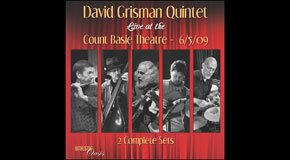 On June 5, 2009 the DGQ played to a packed house at the famed Count Basie Theater in Red Bank, New Jersey (Dawg's home state.) The band included David and DGQ veterans Jim Kerwin (bass), Matt Eakle (flute and bass flute) and George Marsh (drums) as well as their new guitarist, Grant Gordy from Denver, Colorado. The vibe and music that night was unique and special, and captured in its' entirety by DGQ soundman Paul Knight. 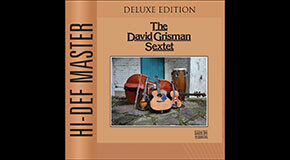 Both complete sets are included in here, featuring inspired playing by the band as well as the recording debut of a recent Dawg composition, "Newly Wedding."